`A marvellous book... an uplifting tale of tranquillity sought and found in the nearest Britain gets to paradise.' Simon Jenkins `There are worlds on worlds within this lyrical and profoundly cultured book. In an age of toxic artifice, this is the most necessary medicine: the tenderness of reality and the living, elemental, world.' Jay Griffiths `Such a delightful book about beauty, joy, love and home... to be celebrated and read.' Sara Maitland `A great queer rural triumph of a book - wonderfully passionate, funny and insightful. It overflows with love.' Tom Bullough A multi-layered memoir of love, acceptance, finding home and the redemptive power of nature. In early 2006, Mike Parker and his partner Peredur were witnesses at the first civil partnership ceremony in the small Welsh town of Machynlleth. The celebrants were their friends Reg and George, who had moved to deepest rural Wales in 1972, not long after the decriminalisation of homosexuality. When Reg and George died within a few weeks of each other in 2011, Mike and Peredur discovered that they had been left their home: a whitewashed `house from the children's stories', buried deep within the hills. They had also been left a lifetime's collection of diaries, photographs, letters and books, all revealing an extraordinary history. 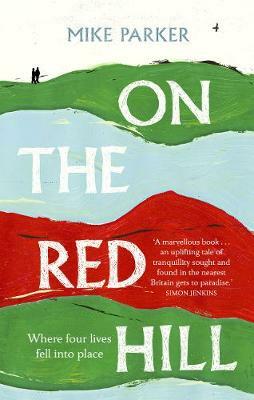 On the Red Hill is the story of Rhiw Goch, `the Red Hill', and its inhabitants, but also the story of a remarkable rural community and a legacy that extends far beyond bricks and mortar. On The Red Hill celebrates the turn of the year's wheel, of ever-changing landscapes, and of the family to be found in the unlikeliest of places. Taking the four seasons, the four elements and these four lives as his structure, Mike Parker creates a lyrical but clear-eyed exploration of the natural world, the challenges of accepting one's place in it, and what it can mean to find home.